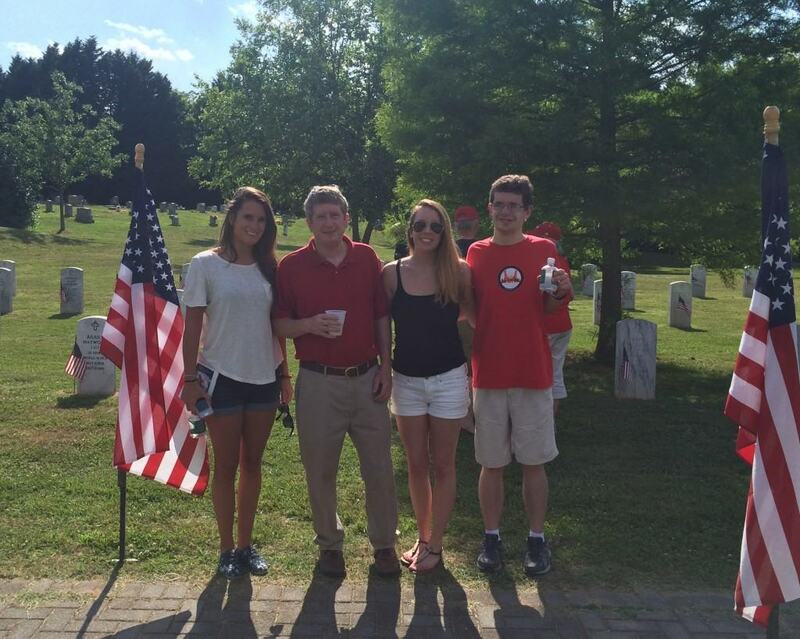 My family and I enjoyed a beautiful day for honoring and remembering our true American heroes at a lovely ceremony held in Historic Oakwood Cemetery’s Field of Honor before a standing-room-only crowd. The ceremony included music by the NCSU Pipes and Drums, the presentation of colors, laying of the wreath, Taps, and a moving keynote address by General Dan K. McNeill, Retired. I was able to capture a great video of the presentation of colors by the N.C. Society of the Sons of the American Revolution, Raleigh Chapter Color Guard.